Rubber Tubing sold in lengths for bracelets and necklaces, solid rubber cord by the metre and thin tubing for threading onto memory wire and other stringing. 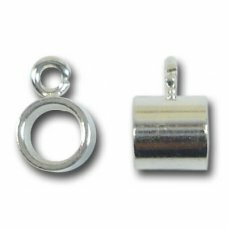 The larger diameter rubber tubing can be easily joined with our silver of gold plated joiner and bead droppers can be added to add your special beads or charms. 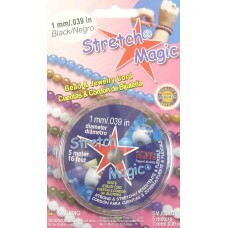 Black rubber 4mm diameter tubing approx 19.5cm long (7 3/4 inches), supplied with silver plated peg .. Hot Pink Hollow Rubber Tubing, 5mm diameter sold off the roll in continuous lengths. ..
Green Hollow Rubber Tubing, 5mm diameter sold off the roll in continuous lengths. Ends ma..
Cherry Hollow Rubber Tubing, 5mm diameter sold off the roll in continuous lengths. &..
Lime Green hollow rubber tubing, 5mm diameter sold off the roll in continuous lengths.&nbs..
Rose Hollow Rubber Tubing, 5mm diameter r sold off the roll in continuous lengths. E..
Blue Hollow Rubber Tubing, 5mm diameter sold off the roll in continuous lengths. &n..
1 Gold Plated Bead Dropper. Bail loop is open like a jump ring. Suitable for stringing upto 5m..
5 yards length of frosted/ clear rubber tubing. Approx 2mm outside diameter approx 0.5mm inside diam..
5 yards length of black rubber tubing. Approx 2mm outside diameter approx 0.5mm inside diameter. Can..
1 metre 1.6mm (1/16) mm Rubber Cord soft and slightly stretchy this rubber cord (not tubing) is grea..
5 yards length of brown rubber tubing. Approx 2mm outside diameter approx 0.5mm inside diameter. Can..
1 metre 2mm Rubber Cord soft and slightly stretchy this rubber cord (not tubing) is great for silver..
1 metre 3.2 mm (1/8) Rubber Cord soft and slightly stretchy this rubber cord (not tubing) is great f..